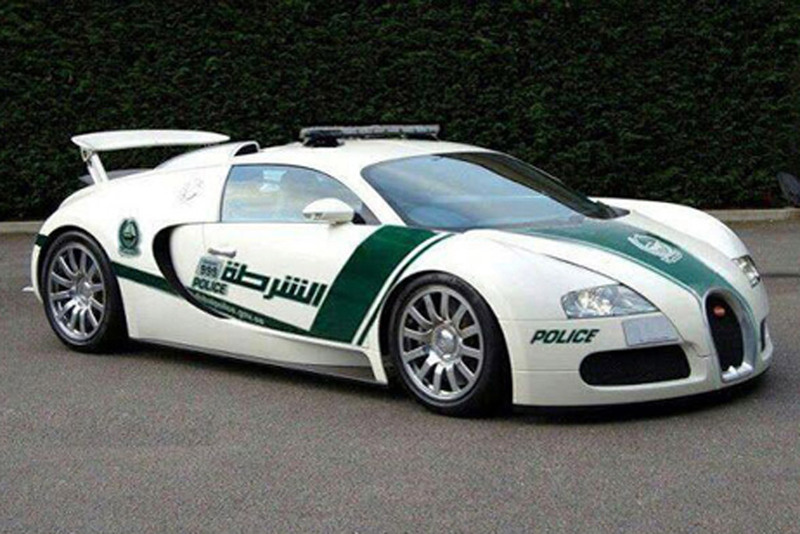 It would have to be a very fast criminal who attempts to outrun any Dubai Police officers now. Not content with a collection that includes a Ferrari, a Lamborghini and an Aston Martin, the force has just ordered the world’s fastest car, the Bugatti Veyron, to join its fleet of supercars that is more about raising the city’s profile in support of its Expo 2020 bid. It’s no secret that Dubai is currently in putting its best foot forward for the opportunity to stage the what’s being billed as the biggest event in the world. Each government department is doing what it can to boost Dubai’s profile and its chance of winning the World Expo 2020 bid – including Dubai Police. They readily admit the purpose of the eye-catching fleet is to attract tourists and to promote Dubai’s image as the place to hold the Expo 2020. After starting with a $400,000 Lamborghini and $300,000 Ferrari, the Dubai police will soon be adding the world’s fastest street-legal car, the Bugatti Veyron, to bring the combined total value of supercars fleet to almost $4 million. The supercar patrol team includes two female officers as part of the police force’s public face around Dubai’s key tourist hotspots, including Officer Badrya Salem AlSowaidi. “These patrol cars are Dubai police security patrols for popular tourist areas like Downtown, Mohammed bin Rashid Boulevard, the Dubai Mall, Burj Khalifa and the Palm,” she says. Dubai Police said they have selected a further six women to patrol in the burgeoning fleet, but they still have to complete their training and exams. Despite acquiring nine sports cars in just two months, with a $1.4 million Bugatti on the way the police have not ruled out expanding their collection. The Dubai Police fleet also includes an Aston Martin One-77, a Bentley Continental GT, and a Mercedes SLS. All cars are green-and-white and decorated with the Dubai police insignia on the front hood. Originally in Emirates News, 6 June 2013.